Healthy, easy, delicious Packed with quick and easy veggie options, clever meat-free versions of popular favourites and inspiring advice on how to be healthier! Want to eat more fruit and veg and stuff thats good for you, but not sure how to turn all the great produce into great dishes? Well, welcome to the happy pear way of eating- easy, healthy, vegetarian food that’s packed with mind-blowing flavours, texture and colour. Simple! 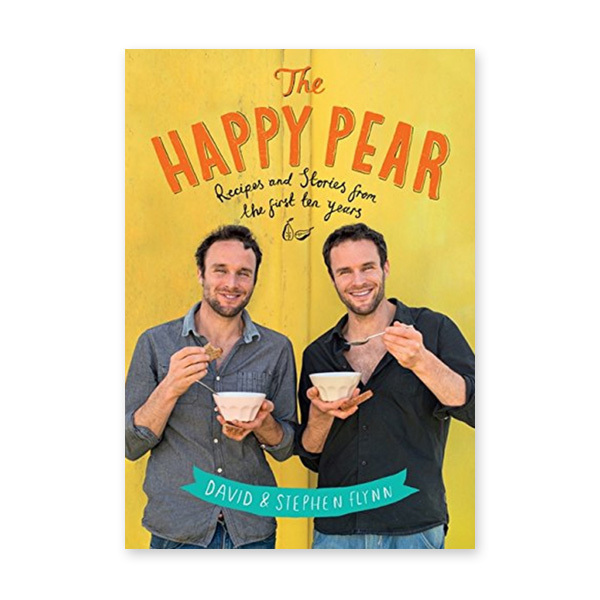 The Happy Pear’s fans range from young parents to pensioners, ladies-who-lunch to teens-on-the-run, hipsters to Hollywood stars. Now you can try the irresistible recipes that have Made it famous. From everyday breakfasts, lunches and dinners, to scrumptious – and yes, still wholesome- cakes and sweet treats, to special occasion splurges, you will always have a healthy option that’s also completely delicious.